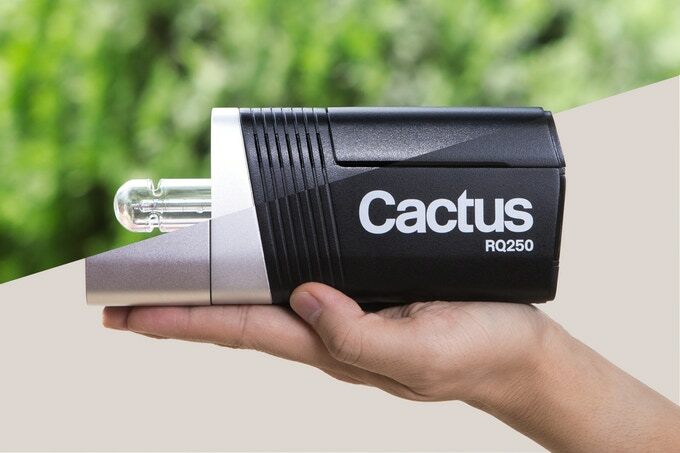 Harvest One Limited recently announced the new Cactus RQ250 Li-ion battery-powered wireless monolight and currently have a Kickstarter campaign running where you can get one for a reduced price. It’s a really compact flash, roughly as big as a Canon Speedlight 600EXII-RT flash, but has a lot of interesting features and useful accessories. At a retail price of US$700 it’s not cheap, but it’s trying to be “like a compact sports car” offering advanced functionality in a small package. Click here for details about this shoot. Model: Zurina Williams. For my studio photoshoots I’ve been using a couple of Canon Speedlight 600EX-RT flashes for a few years now and I’ve been very satisfied with them. For example, my shoot with model Zurina Williams was done with those. However I find that sometimes I need more light output especially if I want to use certain modifiers. So far I’ve not invested in the bigger lights from companies such as Elinchrom and Bowens because of the small space that I usually work in, and those lights would be overkill for me. The RQ250 having 3.5 times the power output of a speedlight while being roughly the same size looks like a nice option for the future. I’ve previously done reviews of the Cactus V5 Transceiver and the Cactus Laser Trigger LV5 and have been very pleased with the quality of the Cactus brand. Visit the campaign page on Kickstarter for the details about the RQ250 including a video showing off its features.